Asphyxiating for a breath of freedom. 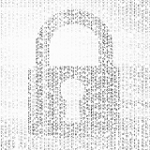 Last spring, I sat university entrance exams from inside the prison and got admitted to a faculty in Athens. According to their laws, since September 2014, I am eligible for educational furloughs to regularly attend classes from the beginning of the term. As expected, my requests have fallen on deaf ears, something that makes me claim these prison furloughs using my body as a barricade. At this point, it feels necessary to clarify my political rationale in order to reveal the context behind my choice. In addition to being instruments of control and repression, the laws are also used for maintenance of balances or what is otherwise called social contracts, reflect socio-political correlations and partially form certain positions for the conduct of the social war. This is why I want to make my choice as clear as possible: I am not defending their legitimacy; on the contrary, I use a political blackmail to gain breaths of freedom from the devastating condition of incarceration. At this point, a question is raised as regards our claims in a state of captivity. It should be taken for granted that there have always been, and will always be, contradictions under such conditions. For example, even though we are fanatical enemies of all laws, we participated in the massive hunger strike of prisoners against the new bill for maximum security prisons; many comrades have similarly negotiated over the conditions of their confinement (“illegitimate” pretrial detentions, objection to strip search, stay at a particular prison) using their body as a barricade, and it’s a good thing they did. We then reach the conclusion that, under such circumstances, we are often forced to step into a strategic war of positions, which is a necessary evil in our situation. In the very title of this text I have specified the political characteristics of my choice, which opens up the possibility to create a battlefront now that all of us are at a very critical juncture. Comrades, we are being immured for quite some time now. From the police blockades and anti-terrorism pogroms, to the boards of economists that exterminate those who don’t fit in their statistics; from the Greek industrialists that resist the onslaught of multinational giants by supporting the late socialism of the Syriza party, to the state of emergency where politicians try on the suit of ultra-patriot, always servile for the sake of the land; from the cops and the army that are being equipped with cutting-edge weapons to suppress rebellions, to the maximum security prisons. Let’s call things by their real name: what the State is exploiting is nothing other than the inaction which has established itself as a normal condition. Soon it will be too late, and holding its magic wand, Power will show mercy only to those who kneel submissively before its omnipotence. The system envisions a future where the revolutionaries are buried alive in “intensive treatment correctional facilities” and sooner or later get physically, mentally and morally devastated. An innovative museum of human horror, where living exhibits are displayed with hanging signs reading “an example to avoid,” and all sadistic intentions of Power are tested on human guinea pigs. Everyone can come up with an answer to dilemmas and make their own choices. Either spectators who sit in secluded armchairs and lead a castrated life, or actors of the events that shape the course of history. That night we kept our eyes fixed on the horizon and saw many falling stars drawing their own chaotic paths. And we counted them over and over, we made wishes, we calculated the odds. We knew that our desire for a free life had to step over all that oppress us, murders us, destroy us, so we dived into the void just like the shooting stars we were observing. Since then innumerable stars have fallen; perhaps it’s time for our star to fall, but who knows? If we had ready-made answers, we wouldn’t have become what we are, but selfish bastards who would teach people how to become rodents that eat each other as they do today. At least we are still implacable and strong-willed like the people of our kind. And those of us who closed their eyes in pain and traveled far continue to keep their eyes glued to that night sky we used to observe, too. And they watch us fall, beautiful and shining stars. Now it’s our turn. Now, without hesitation, we fall. I go on a hunger strike Monday, November 10th, 2014 not taking a step back, with anarchy forever in my heart. Responsible for each day of hunger strike, and whatever happens from this point forward, is the prison board, namely the prosecutor Nikolaos Poimenidis, the director Charalambia Koutsomichali and the social work assistant. PS. To all the armchair “fighters”, the professional humanists, the “sensitive” intellectual and spiritual personages: good riddance to you in advance. 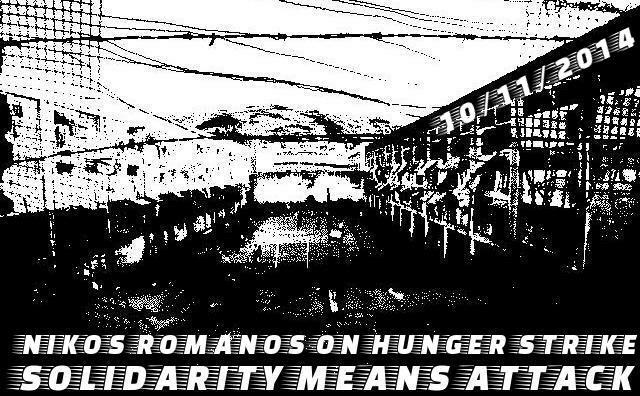 Nikos Romanos declares hungerstrike! « nichts neues? !